Despite the increase in its price, the Dominar 400 is still a very good value for money. It also offers many features at this price. 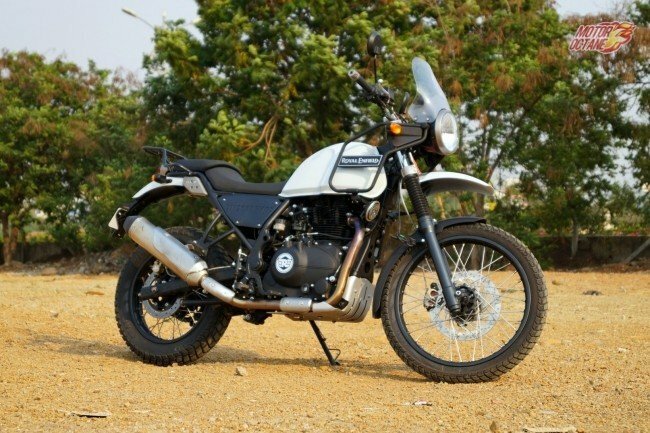 Most of the 400cc bikes cost about INR 2.5 lakhs and this is a lot more affordable. 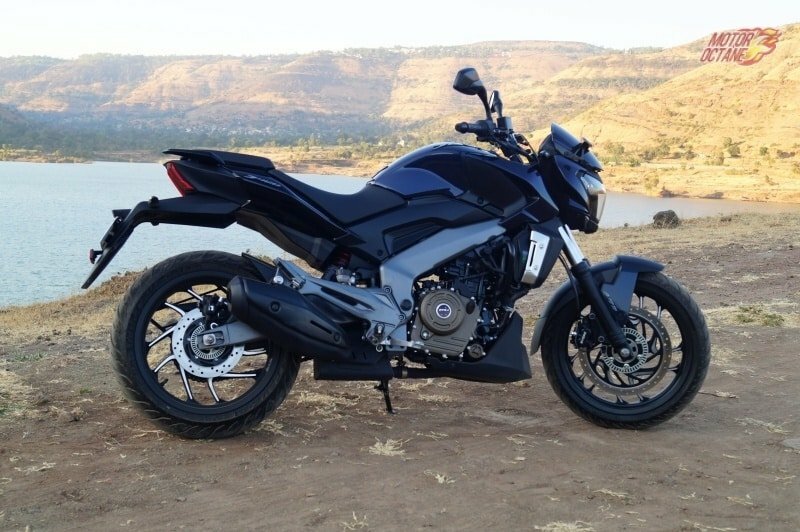 This new bike costs about INR 1.8 lakhs (on-road), which is certainly a lot cheaper. 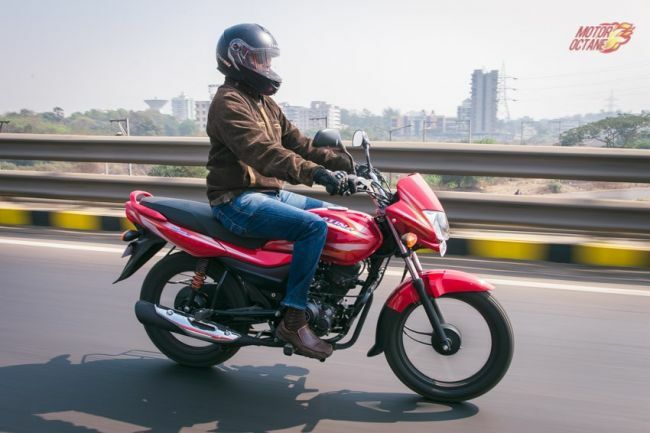 Bajaj is offering all the bells and whistles for a two-wheeler with this engine size and also the pricing that it offers. This makes it an exciting product on offering. 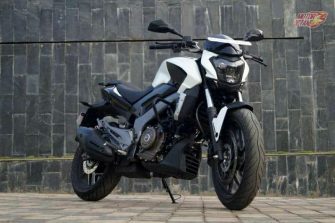 Bajaj Dominar 400, an all new bike based on a new platform. 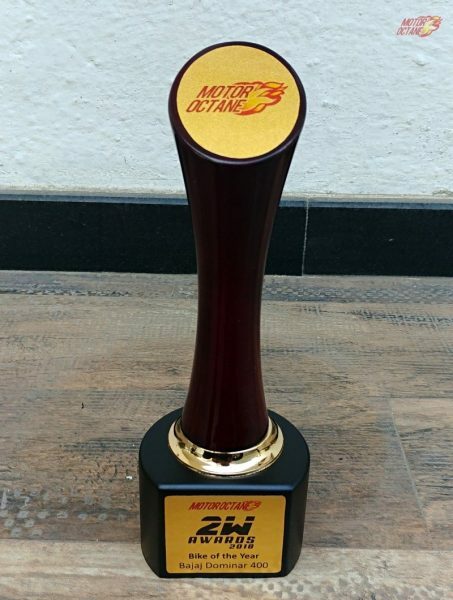 The company had showcased the Pulsar CS400 at the 2014 Auto Expo. This is the same bike concept, which has made it into production. 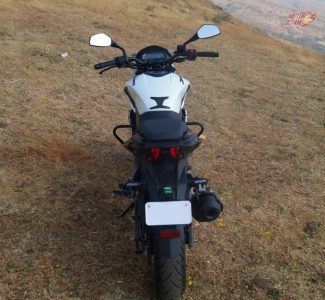 This new bike has been given an all new brand to differentiate it from the Pulsar family. 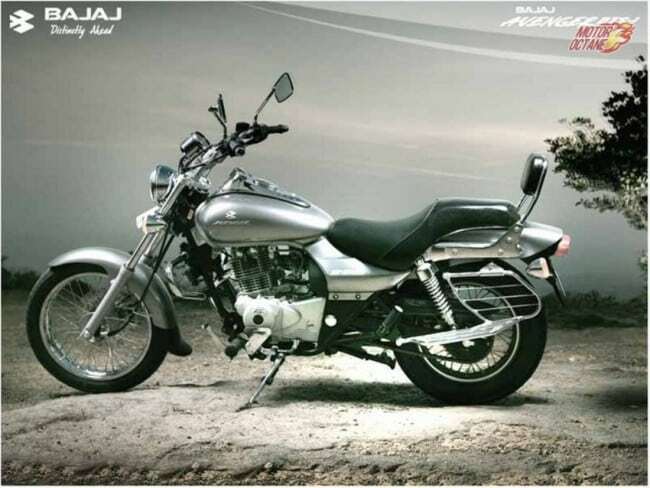 Bajaj wanted to keep this bike as a more premium product and that is why a new brand name. 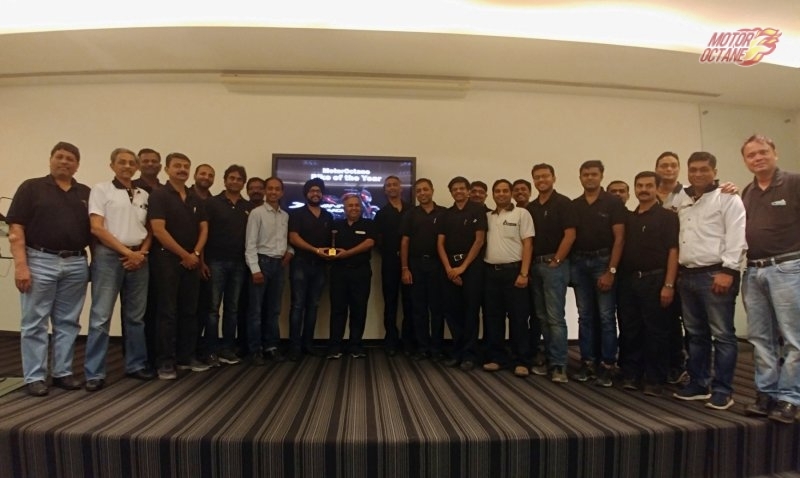 The Dominar means to dominate and hence the name. 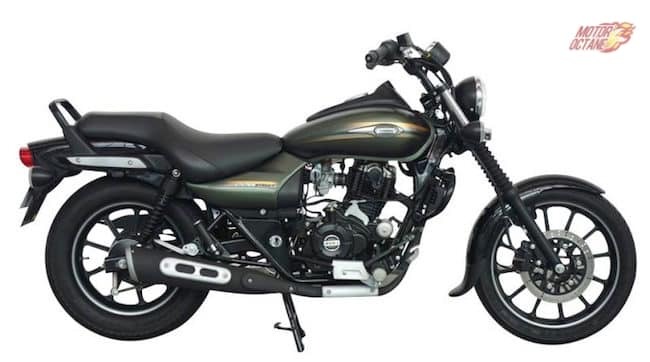 This is based on a new platform and it is used for the first time for any Bajaj bike. This platform isn’t a tubular frame like that on the KTMs, and it is more heavier. 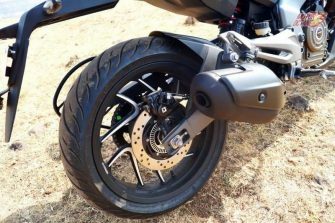 At the same time, there are differences in the chassis, which enhances the ride quality of the bike. 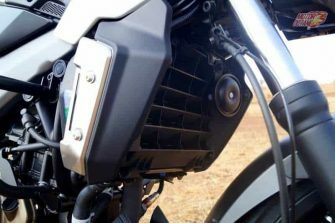 There has been a major focus on improving the ride and ensuring the comfort factor is there. 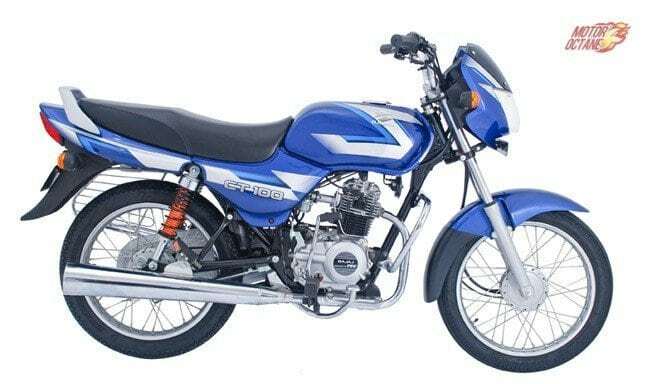 One of the biggest USPs of this bike is the price and the features that are being offered for it. This is the same 373cc engine that comes on the Duke 390 also. 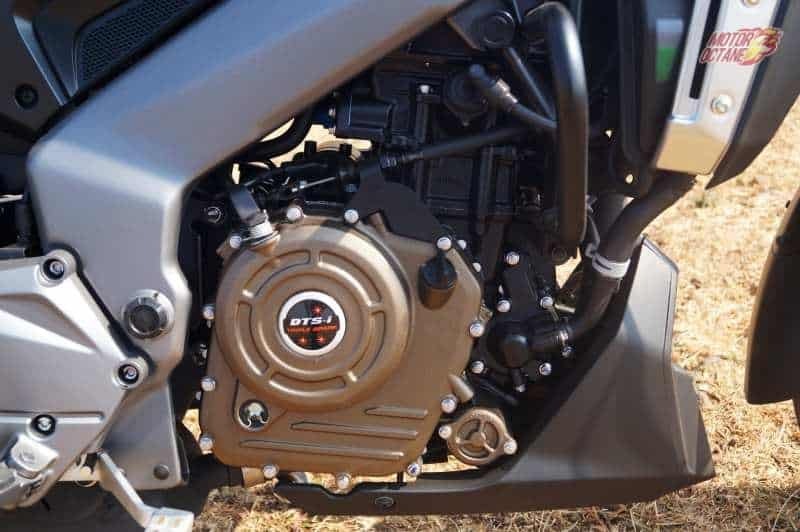 This is the same engine, which has been tweaked by Bajaj for comfortable riding. There isn’t a rush of power that comes from this engine and this is where it is different. The power delivery is a lot more linear and it churns about 34bhp of power and 35Nm of maximum torque. This engine comes mated to a six-speed box. The bike now even has a new matte black colour on offer. 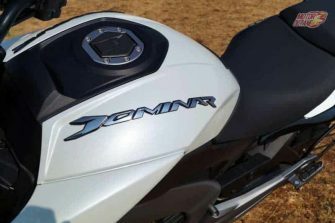 The Dominar 400 comes powered with a 373cc engine, single-cylinder, with triple-spark plug technology. This engine churns out 34bhp of power and 35Nm of peak torque. 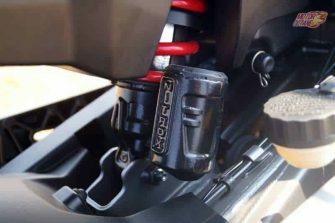 The engine block is the same that is found on the KTM Duke 390, however, the Duke is much more powerful. The Dominar 400 nevertheless, has sufficient power in and the low end torque is good enough. It can be ridden all day, keeping the rider comfortable. It also requires lesser number of gearshifts. 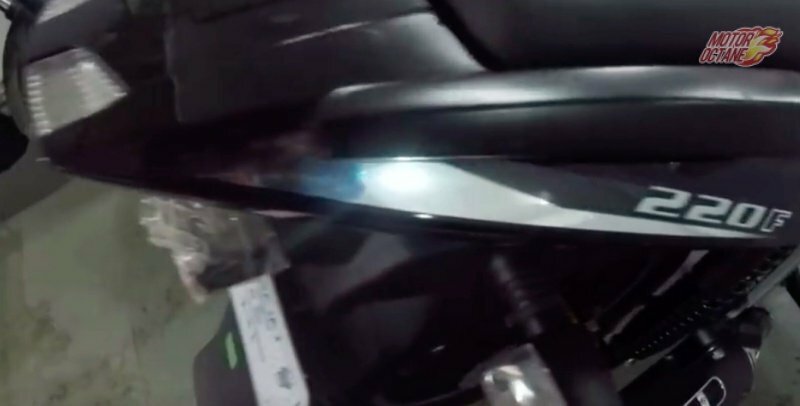 The only sore point we found in the Dominar is the as the engine crosses 5000rpm, it gives quite quite a lot of vibrations. 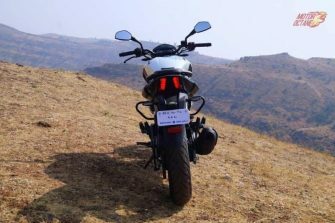 We tried it with several other bikes also but the problem was still evident. The Dominar comes with a six-speed gearbox and it is good thing. The clutch is light and the shifts are seamless. We like how this bike feels so easy to ride, to shift gears. 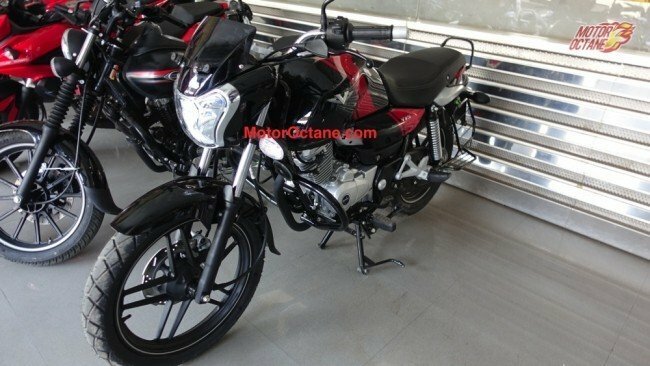 Bajaj has done a good job with its first 400cc motorcycle. 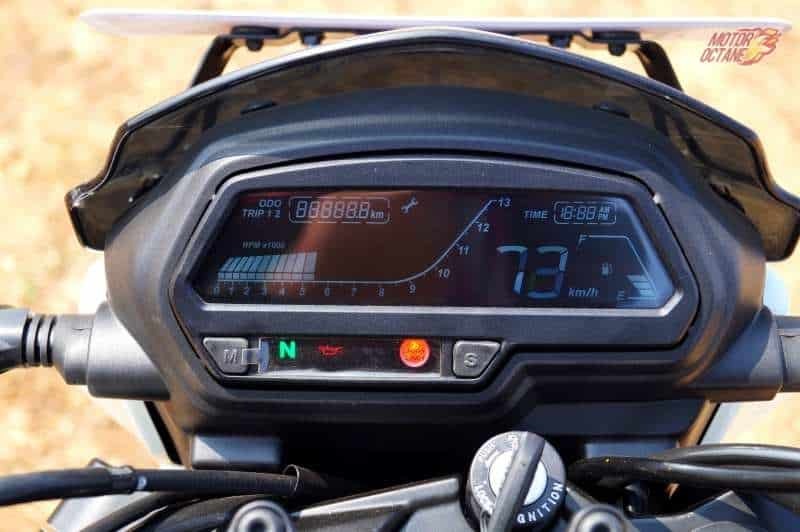 The new Bajaj Dominar 400 has a top speed of around 148km/hr. The tall gears help to enhance the top speed of the bike. 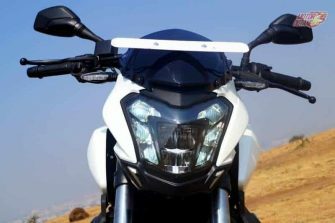 For a 400cc, the Dominar has decent fuel efficiency. Though not a priority in this segment, it does matter to a first time buyer. The Dominar returns about 35 km/l in the city and this increases to about 40 km/l on the highway. 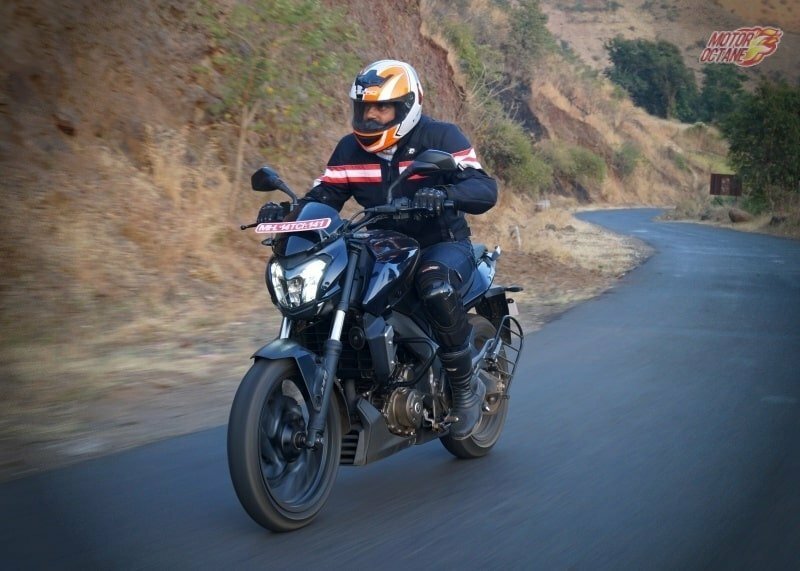 With lesser gear shifts required, the Dominar 400 is more comfortable on a highway. 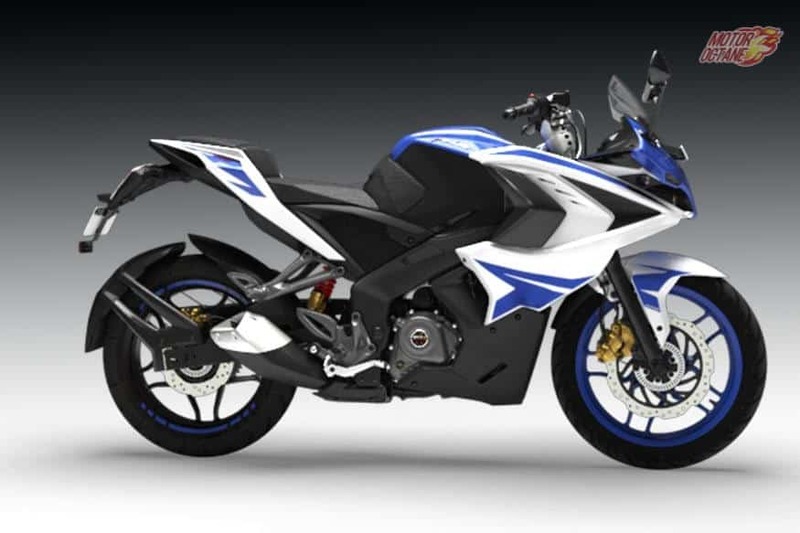 This is an all new bike but it was designed to be a Pulsar and so there are several elements that are similar. 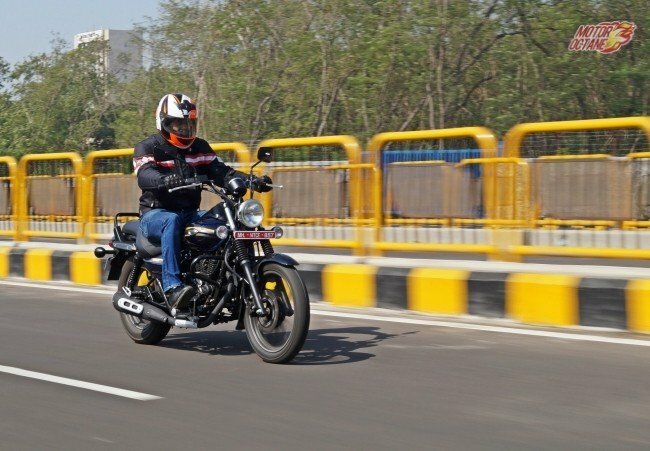 Bajaj calls this bike as a power cruiser and it is a mix of a street fighter and a cruiser. The front is dominated by a large headlamp sports a LED headlamp and there are daytime running LEDs also. There is a smoked effect on the headlamps and this has been done to made it look more bad boy like. The tail lamps too are LED powered. 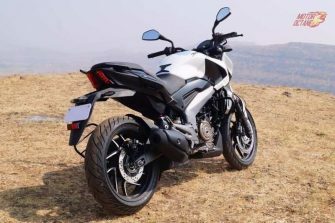 The Bajaj Dominar 400 is bigger, wider and also bulkier than the 150-250cc bikes in the market. This 400cc bike weighs about 182 kilograms. It has a tough frame which makes it heavier. Highway cruising is more pleasurable due to the heaviness. 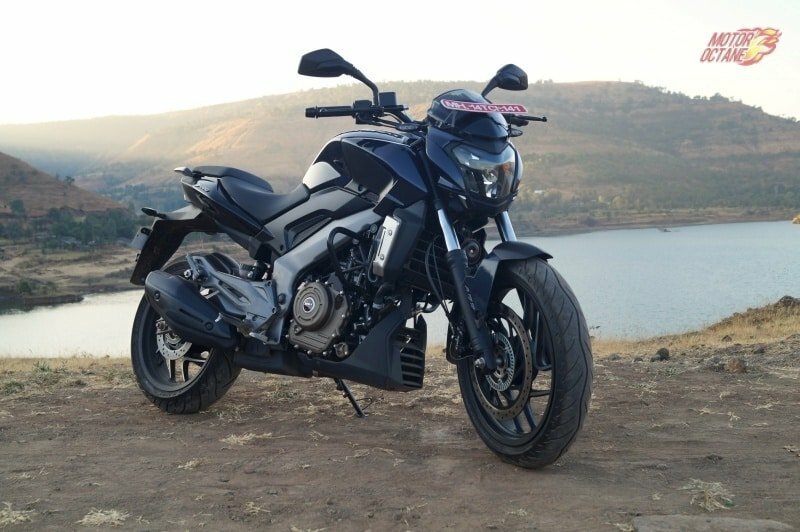 The Bajaj Dominar 400 has a wide enough seat and is more comfortable for long touring. 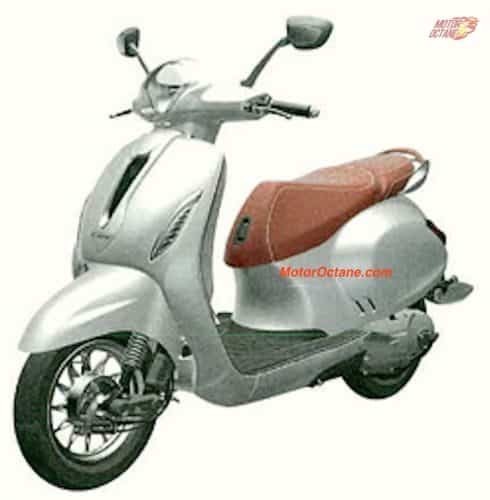 In terms of design, Bajaj has got it spot on. The stance, the quality of paint and the headlamp makes it look premium. It gets an all digital instrument cluster. 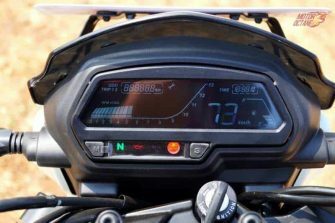 It has a speedo, tacho, trip meters, fuel gauge and also a digital clock. There is no gear indicator. 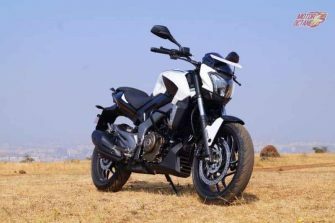 The Bajaj Dominar 400 is a well proportioned bike and looks good from every angle. While it is not a head turner, it is hard to find faults with its looks. Apart form the regular colors – Midnight Blue, Moon White and Twilight Plum, there are three new colors added, which are Canyon Red, Glacier Blue and the Rock Matte Black, The alloy wheels also get a matte gold finish. The Plum and Blue look very rich on the bike. This makes it stand out and it does have appealing stance. 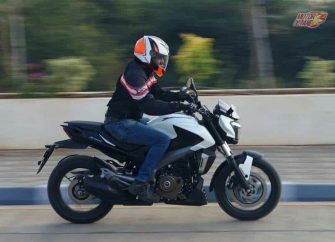 The Bajaj Dominar 400 impresses with its ride and handling. The stance is also perfect. You sit straight and upright. The seat is broad and comfortable. The wide and tall handlebar gives it a big bike feel. It also keeps you comfortable, especially on long rides. Despite being heavy, the bike doesn’t feel so on the move. Taking turns and banking on curves are quite enjoyable on this power cruiser, unlike some of the other bikes it competes with. 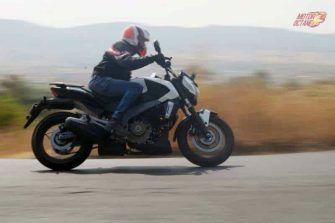 The tyres on the Bajaj Dominar 400 are good and much needed for this bike. These MRFs are soft compound tyres that offer very good grip. The ride is on the firmer side. Its not stiff as such but at low speeds on bad roads, you tend to feel some jolts. 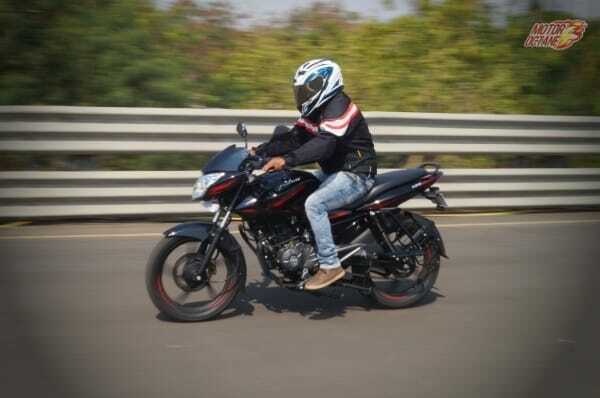 The firm suspension setting though helps a lot in handling and weight management of this bike. Braking is very impressive too. 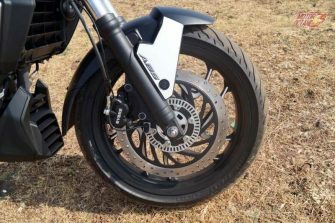 The large 320mm front discs have great stopping prowess and with twin channel ABS, its very reassuring. 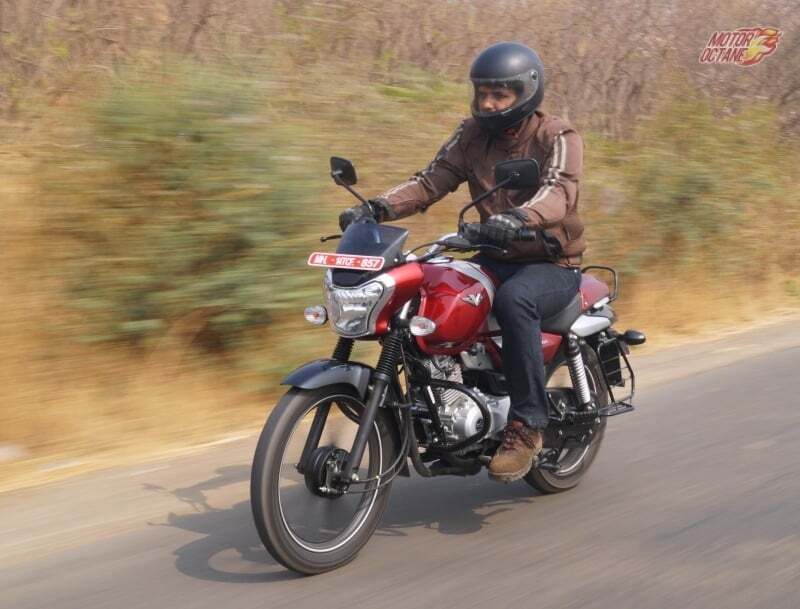 The 400cc does not have any direct competition as such. 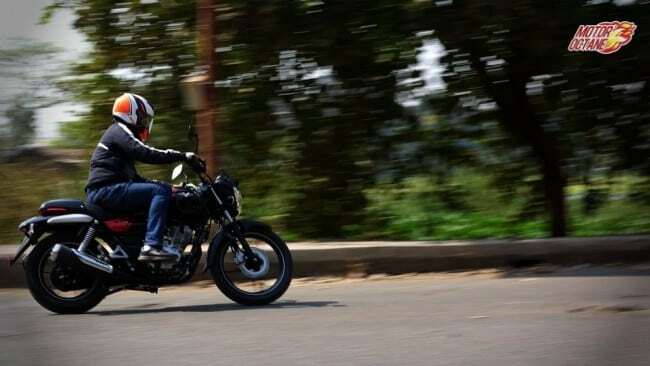 however, it falls in a similar price bracket of the Royal Enfield, Mahindra Mojo and KTM Duke 390. 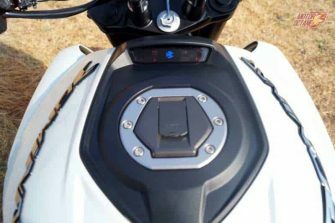 The BMW G310R is also expected to be a competitor when launched. 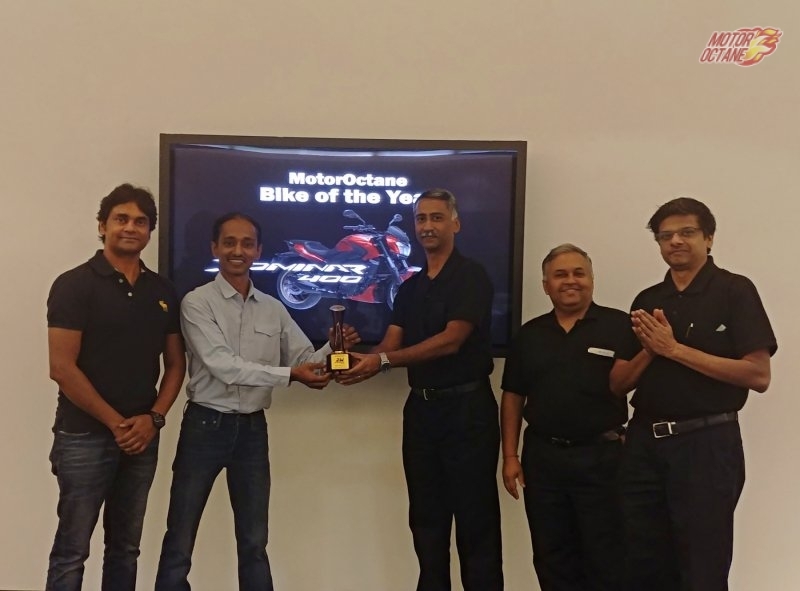 This is a fast growing segment and Bajaj will want to try to dominate it. 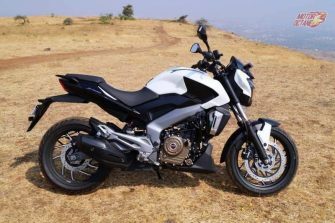 So why should you buy the Bajaj Dominar 400? 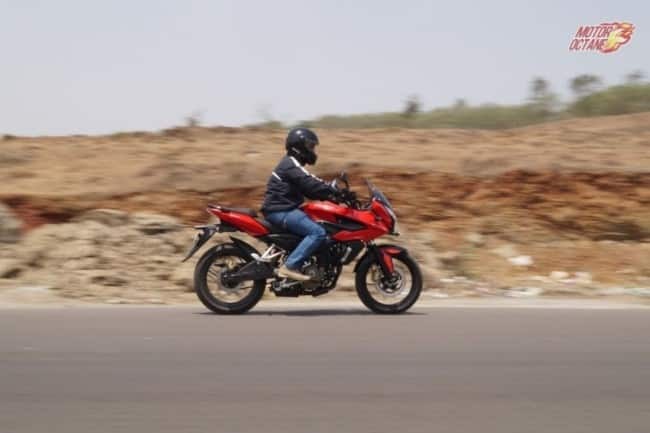 Well, if you want a comfortable bike for frequent long highway rides and also want it to double up as a daily commute bike, then at this price point, with all the features, the Bajaj Dominar 400 is currently the best buy.